Are you thinking of taking wedding photography as a profession? Are you training yourself to become a good wedding photographer? Well then there are a few things that you have to remember the first of which is that proper training is absolutely essential for establishing as a photographer in this field. The first and the most important thing that you will have to first become adept at is taking candid shots. It is those candid moments that make a photograph of the wedding album truly special and hence you will have to make sure that you get the right shot at the right time. You need to focus on the couple and the people close to the couple in order to find the right moment and click away for that perfect snap! The other thing that you have to do is during your training period you need to go on wedding shoots as an assistant to a well known photographer in this field. This will also be a part of your learning exercise where you will get to know the basics of wedding photography. Practical experience and field training is very important and hence it is best to train yourself as an assistant first and then take it up professionally. Plus this will also be something that you will be able to showcase on your CV. You will have to keep your options open and try out various opportunities of training yourself. 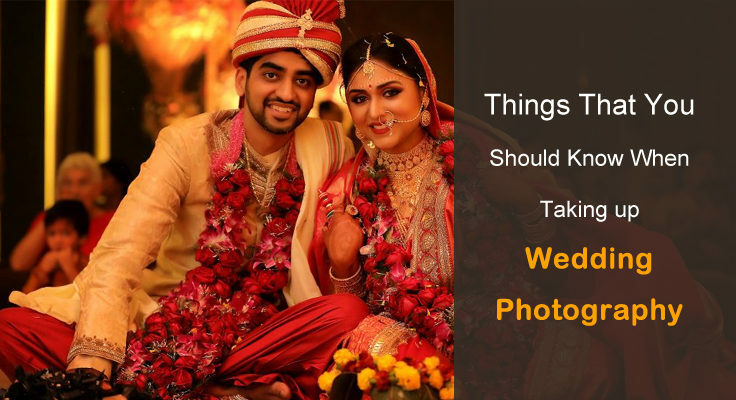 For example, regular wedding photography workshops in delhi are conducted which are really good when it comes to getting some hands on training and expert guidance within a span of 2 or three days. Sign up for whatever good workshops that come along your way and gather as much practise and knowledge as possible about this field before you go into it professionally. Do you have anyone who has been doing wedding photography for a long time? Well it is best to talk to people who have been in this area of work and get an idea about the pros and cons of this profession. This will help you to prepare yourself mentally and to carry a professional approach when you talk to potential clients. And lastly, you will need to be patient about getting work. Be prepared that this is mostly a seasonal work and if you are going in for an individual and independent venture, you will have to take projects that pay well during the wedding season from which you will draw your monthly salary for the rest of the year. Being professional and efficient will work really well in this line of work along with an eye for candid and portrait shots. So gear up and get ready for wedding photography!